The beauty of the internet is that nowadays you can access information easily and save yourself plenty of time you would otherwise spend researching. If you’re in a foreign country or plan to visit one, you naturally want to be familiar with at least brief history and national symbols. You’re interested in expanding your knowledge about Yugoslavia? We’ve prepared a summary of everything you should know about this once glorious country. Let’s go through all of Yugoslavia’s name changes. Yugoslavia (“Land of the South Slavs”) was the name used for three successive countries in Southeastern and Central Europe from 1929 until 2003. The Kingdom of Serbs, Croats and Slovenes was created in 1918 and in 1929 it was renamed the Kingdom of Yugoslavia. The Serbian royal House of Karađorđević became Yugoslavia’s royal dynasty. During World War II, the country was occupied by the Axis Powers. In 1946, Socialist Yugoslavia was formed, after the Partisans helped liberate it from the German forces. The kingdom was replaced by a federation of six equal republics. A communist government was established and the country was then named the Federal People’s Republic of Yugoslavia. The 1963 constitution officially renamed it to Socialist Federal Republic of Yugoslavia. In 1992, SFRY became the Federal Republic of Yugoslavia and. Eleven years later, in 2003, a state called Serbia and Montenegro was formed. And finally in 2006, Republic of Serbia. 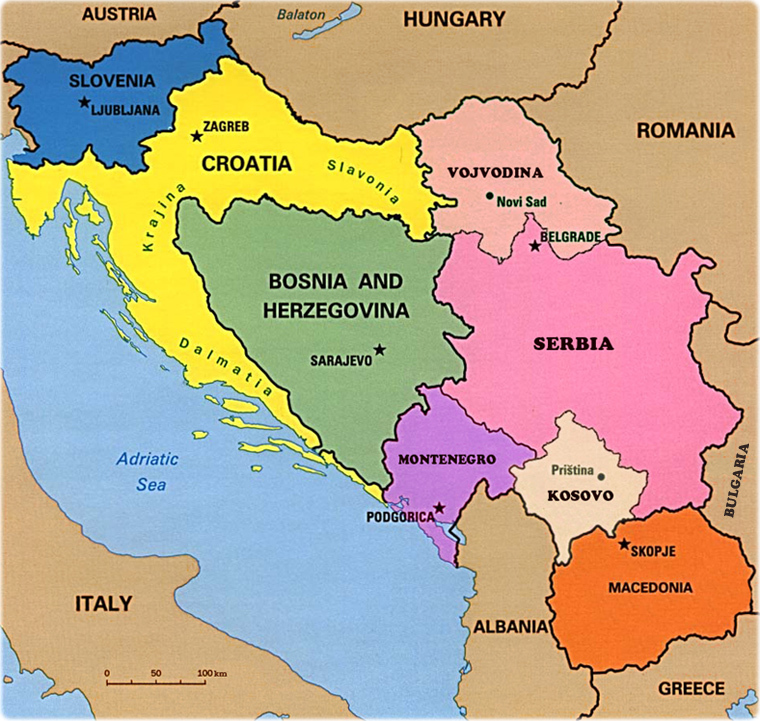 The Socialist Federal Republic of Yugoslavia was made of six republics: Serbia, Croatia, Slovenia, Montenegro, Bosnia and Herzegovina and Macedonia. The largest among them is Serbia, while Montenegro is the smallest. Yugoslavia had a land area of 255,400 square kilometers and was the 9th largest country in Europe. The terrain was varied, with fertile plains in the north, limestone ranges in the east, mountains and hills predominantly in the southeast and a seaside, mainly in Croatia and Montenegro, but also in Bosnia and Herzegovina and Slovenia. The SFR of Yugoslavia had 22 national parks and 495 natural monuments. In 1991, the country had around 23,5 million inhabitants. The official languages of Yugoslavia were Serbo-Croatian, Slovene and Macedonian. The languages were all South Slavic, so people from different areas could understand each other. Most of the population spoke Serbo-Croatian – over 12 million people. 2 million spoke Slovene, while Macedonian was spoken by 1,200,000 inhabitants. The Constitution granted national minorities and ethnic groups the right to their own language. Around half a million people used Hungarian, mainly in the north, and Italian was spoken in parts of Croatia. Serbo-Croatian was made up of three dialects: Shtokavian, Kajkavian and Chakavian. Two alphabets were used in Yugoslavia – the Latin alphabet and the Cyrillic script. Until 1918, the dinar was the currency of Serbia. After 1918, it became the official currency of three Yugoslav states. First, the Kingdom of Serbs, Croats and Slovenes, then the Socialist Federal Republic of Yugoslavia and the Federal Republic of Yugoslavia. It was subdivided into 100 para. A short lived currency was the Yugoslav krone, used in Croatia, Slovenia and Bosnia and Herzegovina. It circulated alongside the Serbian dinar until the 1920s, one dinar being equal 4 kronen. Between 1990 and 1992, four of the six constituent republics left the SFR of Yugoslavia – Slovenia, Croatia, Macedonia and Bosnia and Herzegovina. That dinar was the last one that bore the coat of arms and the name of the “Socialist Federal Republic of Yugoslavia in multiple languages”. Each of the four republics then got their own currency (Slovenian tolar, Croatian dinar, Macedonian denar and Bosnian dinar). After 1992, during the severe hyperinflation, people started using foreign strong currency such as Deutschmarks, to mitigate the problem. The highest banknote then printed was 500 billion dinars. However, it quickly became completely worthless. In 1999, Montenegro decided that the Deutsche Mark would be an official currency alongside the Yugoslav dinar. In 2003, when Yugoslavia stopped existing and got replaced with Serbia and Montenegro, the Serbian dinar was the official currency. Today, Montenegro and Slovenia have Euro as their official currency. Croatia uses the Kuna, Bosnia and Herzegovina the Convertible Mark, while Macedonia and Serbia kept their previous currencies, the Macedonian denar and the Serbian dinar. When the Kingdom of Serbs, Croats and Slovenes was first formed, there were still no laws regarding the national anthem. The decision was made that the anthems of the three Slavic nations would create the new, mutual anthem. It started with the Serbian anthem “Bože pravde”, then continued with a few lines from the Croatian anthem “Lijepa naša domovino”, followed by the Slovenian anthem “Naprej zastava slave”. It ended with some lines from the Serbian National anthem. All three anthems were made in the 19th century. There weren’t any official documents that declared the anthem invalid. With the disappearance of the monarchy, the modified Serbo-Croatian-Slovenian anthem disappeared as well. Instead, a song called “Hej, Sloveni”(“Hey, Slavs”) became popular and started being used as an unofficial anthem. It was written by Samuel-Samo Tomašik, a Slovakian pastor and poet. At first, it was called “Hey, Slovaks” and was dedicated only to them. He then altered the lyrics to include all Slavs and it became a widely known rallying song for Pan-Slavic sentiment. This officially became the national anthem only in 1988. However, it was already used as the de facto anthem for 43 years. This was the anthem of SFRY until it stopped existing in 1991. After that, it was also used in the Federal Republic of Yugoslavia and State Union of Serbia and Montenegro after that. Since Serbia and Montenegro became independent states in 2006, “Hej, Sloveni” is no longer used by any sovereign country. The flag of Yugoslavia and its’ symbolism are derived from the Pan-Slavic movement (a movement concerned with the advancement of integrity and unity for the Slavic-speaking people). It was a horizontal tricolor with three equal bands of blue, white and red. The monarchy chose the pan-Slavic design to symbolize the unity of all Southern Slavs. The flag was in official use until the Kingdom of Yugoslavia was occupied by Axis powers in 1941. After World War II, the monarchy stopped existing and Yugoslavia became a federal socialist republic. Therefore, the communists decided to add a red star with a narrow yellow border to the center of the white band. The blue symbolized the blue sky, the white represented freedom and red was a symbol of blood spilled in the war for national liberation (World War II). The flag was usually accompanied on official buildings by the flag of the federal republic and the flag of the League of the Communists of Yugoslavia. This flag was used until the breakup of Yugoslavia in the 1990s. The coat of arms of the Kingdom of Yugoslavia was based on the Coat of arms of Serbia. It depicted a two-headed white eagle between two golden fleur-de-lis, on a red background. The difference was that the Yugoslavian emblem featured the Karađorđević dynastic crown, instead of the Obrenović. Also, the Serbian coat of arms depicted the Serbian cross, a national symbol of Serbia, based on the tetragrammic cross flag of the Byzantine Palaiologos dynasty. The new one included three golden six-armed stars. The emblem of socialist Yugoslavia was adopted the same time as the flag – in 1943. The cross which has always been a part of it was removed for ideological reasons of socialist atheism. It featured five torches surrounded by wheat, all burning together in one flame. This represented the brotherhood and unity of the five Yugoslav nations: Serbs, Croats, Montenegrins, Macedonians and Slovenes. The Bosniaks were not represented on this emblem, but they were on the redesigned one from 1963. There was also a date, 29 November 1943, the date the Anti-Fascist Council of National Liberation of Yugoslavia met in Jajce. After World War II, that day was celebrated as the Republic Day. All separate republican emblems featured a red star. Who was the leader of Yugoslavia? 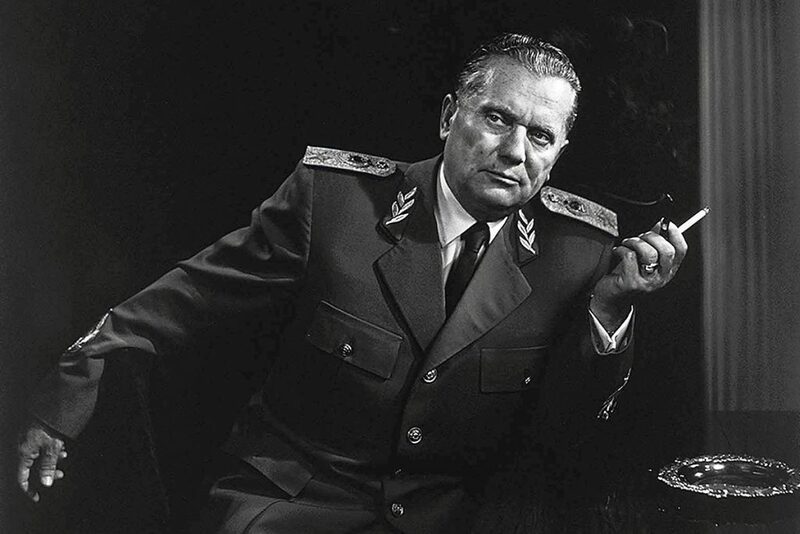 One of the first things that come to mind when you think of Yugoslavia is its’ most famous leader – Josip Broz Tito. As the first president of the former SFRY, he became one of the symbols of the country and one of Europe’s most famous politicians, known for his international policies. Along with keeping the peace among Yugoslavian nations, he had a lot of titles. Commander of the Yugoslav People’s Army and a marshal. and from 1953 – the president of the Socialist Federal Republic of Yugoslavia. The Constitution from 1974 named him president for life. Which made him able to stay on as president till his death in 1980. Some consider him to be a dictator or perhaps a benevolent dictator. He was held in high regard by his people. During his presidency and in the years following his death, several places in the SFRY were named or renamed in honor of him. Some of them are Titograd (now Podgorica, the capital of Montenegro), Titovo Užice, Titov Drvar, Titovo Velenje. He died at the age of 88. His funeral was the largest state funeral in history until the funeral of Pope John Paul II in 2005. Tito was interred in a mausoleum called House of Flowers in Belgrade, which is a part of the Museum of Yugoslav History. The thing that had always remained the same is the capital – Belgrade. 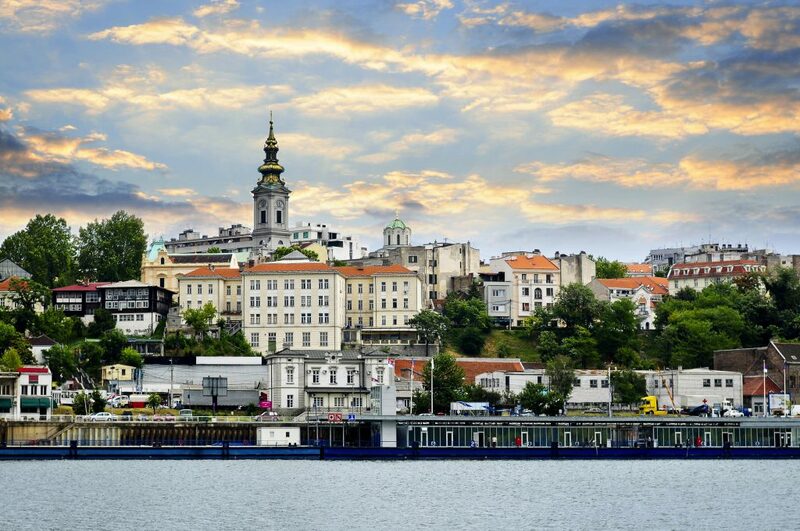 This energetic city today has a population of around 1,7 million people and it is the capital of Serbia. The name Belgrade or, in Serbian, Beograd, translates to “white city”. It has a long history, since it is one of the oldest European cities. One of the most important prehistoric cultures of Europe, the Vinča culture, evolved in the 6th millennium BC in what now are the suburbs of Belgrade. 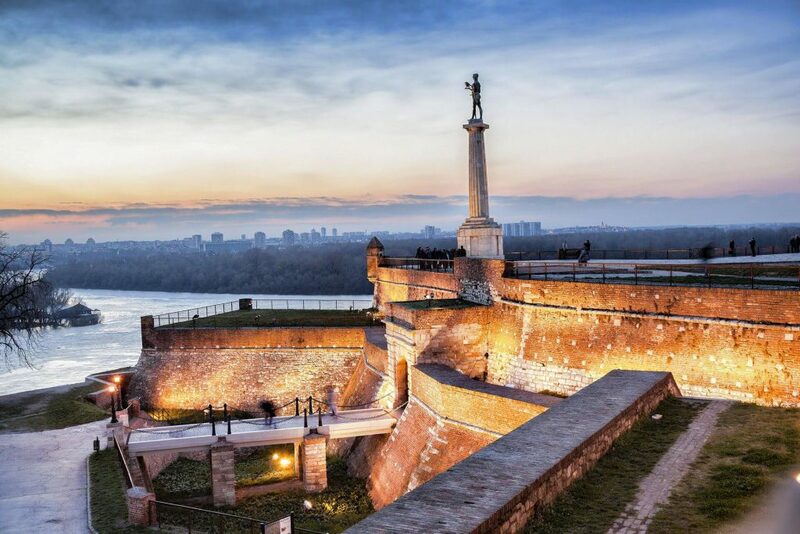 Kalemegdan fortress, which is arguably Belgrade’s most significant landmark, is a testament of the city’s strategic importance (built on the confluence of two rivers, Sava and Danube). During World War II, it was bombed twice – once in 1941, by the Axis Powers, and in 1944, by the Allies. It was finally liberated on October 20th 1944. In the post-war period, it started developing as a major industrial center. Stay tuned for our upcoming articles where we’ll dive deep into history, fun facts and lifestyle of YU!